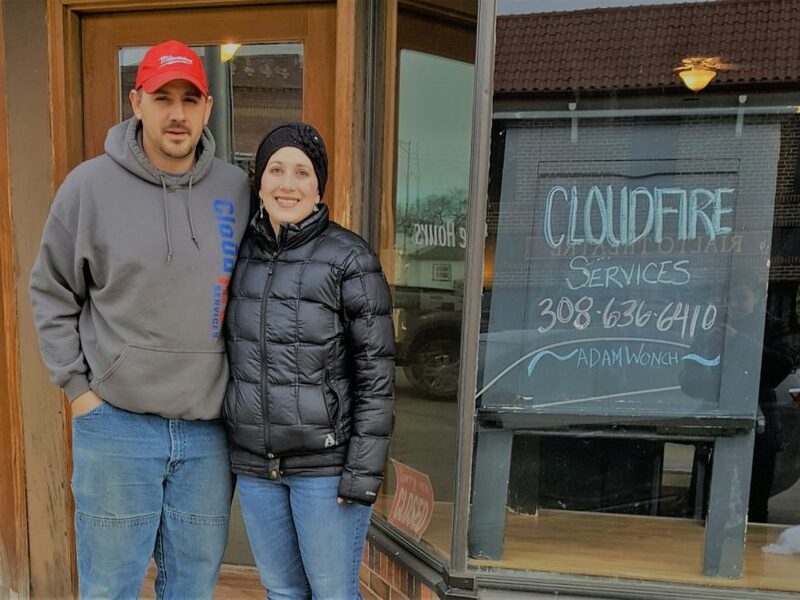 In January, Cloudfire Services owners Adam and Melani Wonch became the owners of one of Arnold’s historic main street buildings. After starting up their business four years ago in May of 2015, the couple said it was time to expand. Adam is an experienced HVAC (Heating, Ventilation, Air Conditioning) tech with 20 years of varied experience in installation and service. In addition to the main part of the business, Adam also offers handyman services that include light plumbing, small remodels, commercial refrigeration, and repair and service of appliances. Kenny Goodenow is employed by Cloudfire on a regular basis, and Melani is the part-time office manager. Up to this point, Adam and Melani were operating their shop in the back of Krista and Tony Eggleston’s building (Kreative Edge), and using an office space in the Eggleston’s newly remodeled Agri Affiliates building on Arnold Ave. Adam and Melani said the Egglestons have been super to rent from, but they simply needed more space. “We have been very blessed to see our business grow very quickly these past four years. 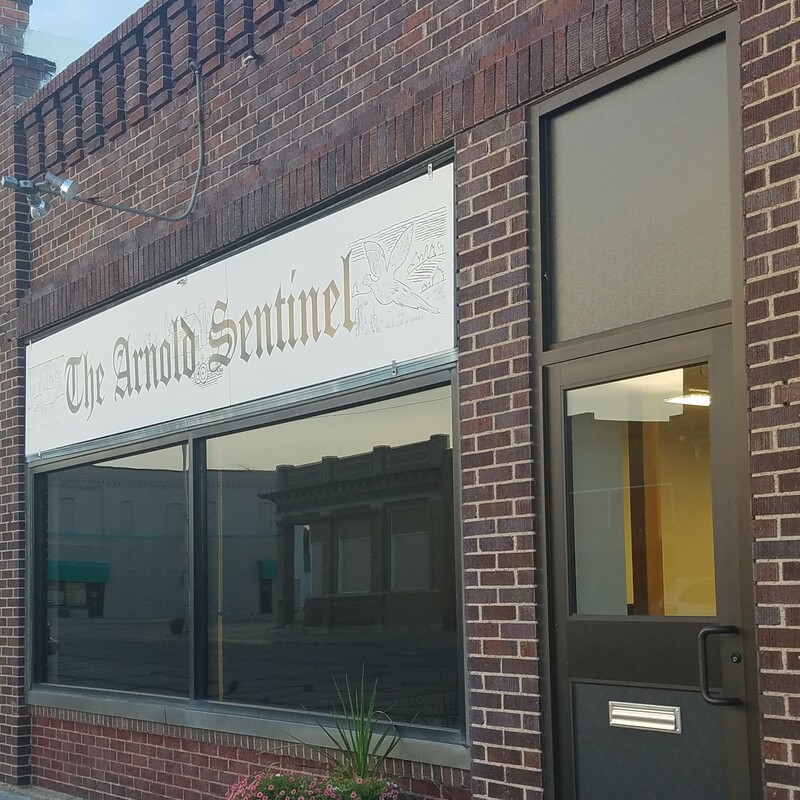 Enough so, that we decided we needed to expand our space which was the reason for our recent purchase of the building on South Walnut St.,” said Adam. With the back part of the new building, Adam has more room for metal working and even has a parts room now. The Wonches have lots of ideas for their new building. Adam said the purchase was initially made because it fit the businesses’s needs for more space, but they have hoped from the beginning of choosing it that they could offer appliances to their customers, as well as the service and repair that they already provide. It may serve other purposes while they work that part out as well, possibly a retail outlet for Doterra essential oils or a storefront for local artisans in the mean time. In the future, the Wonches hope to have the business open at least one day a week for walk-ins and by appointment other days of the week as needed.